Charles Dickens will be the subject of a new Christmas movie now filming in England titled “The Man Who Invented Christmas”. The story is about the very Christmas tale of how Charles Dickens created “A Christmas Carol”. 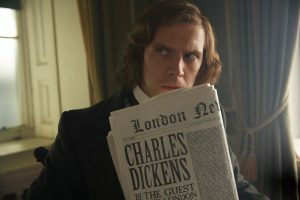 The movie stars Dan Stevens as Dickens, pictured at the right. It also features Christopher Plummer in the role of Ebeneezer Scrooge. You see? Already there’s a problem with this movie. Dickens is a real character. Scrooge is a character of fiction. And that will be the problem with this film — determining what is fact and what is fable. The movie is based on the book of the same name by Les Standiford, a historian and a novelist. In declaring the 19th century author as the “inventor of Christmas” Standiford makes a critical historical mistake. And in the process he destroys what is really the true story. This episode explores the book and exposes the lies that will be told in the upcoming tale of Dickens. To read Dickens is to know Dickens and like the many Hollywood productions of A Christmas Carol demonstrate there is more than one way to tell a story. This movie is a Hollywood production and shouldn’t fool the Christmas purist when it comes to the truths about Dickens. As the title of both the book and movie pronounce, Dickens saved Christmas. 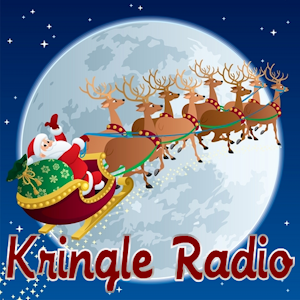 This episode of the Merry Podcast declares the more obvious truth: Christmas saved Dickens. When it comes to Christmas we believe true stories are more entertaining, more enlightening and more believable than what Hollywood produces. That is true of Santa Claus. That is true of Jesus Christ. And that is true of Charles Dickens. Will we see the movie? Of course we will. But we have no problem reviewing it now. If it came from this book — The Man Who Invented Christmas — it will not be a great Christmas movie. I agree with much of your thoughts and I too have an issue with the title “The man who invented Christmas” but I also believe this was true to a small extent in parts of England when in the 1800’s you did not dare celebrate Christmas in many parts of England due to how poor most of the country was. You were either poor and constantly trying to get enough to support your family while the rich always took advantage of the poor. Dickens himself worked for a factory at the age of 12. Child labor was very much common at this time in England. This book was meant to be a pamphlet and not to be published. Just to get the word out to the rich about the conditions of the poor. Remember the Cratchets received a raise. The term “Prized Turkey” was used to make light of whom could afford such a entrée. It was not the poor. If the poor was to celebrate Christmas it would only bring light to what little they had. The point Dickens was trying to make still holds true today which makes it timeless. Thank you. By the way, I thoroughly enjoy your posts & podcast!